This month, we’ve teamed up with Australia-based Campos Coffee to bring you a couple delicious espresso blends as part of this month’s Espresso Subscription. Campos recently opened a U.S. outpost in Salt Lake City, which is where this month’s espresso was roasted. 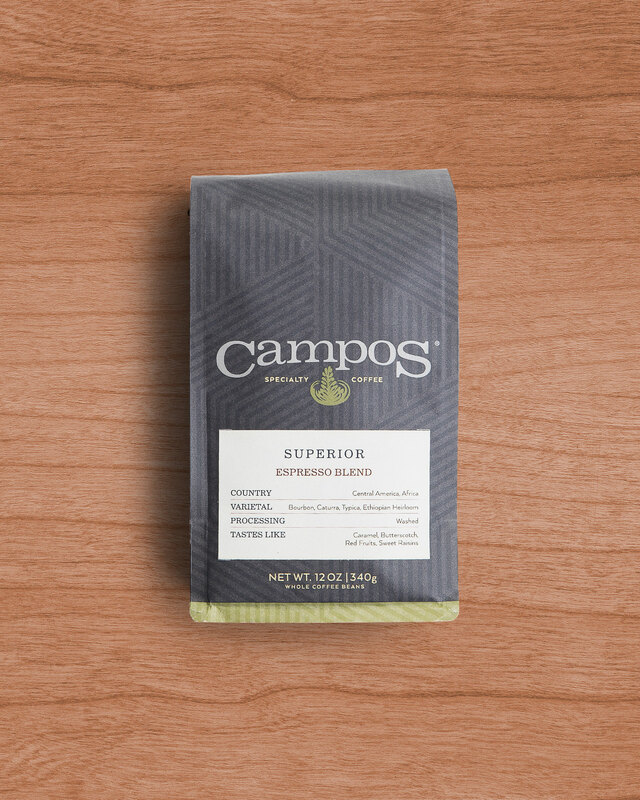 Below, you’ll find info on each coffee, along with brewing specs and insight from the Campos team. Quality Coffee Cultivated by Good is the belief that coffee only tastes good when it’s made ethically and with care. It’s the simple truth our business is built on. We’re looking at the latest harvest, tasting, roasting and working with our partners to find new ways to deliver a better crop than the one before. We see our coffee being grown sustainably, with the future in mind and positively impacting the livelihoods of coffee farmers. This way of business will always be a non-negotiable for us. We happily take responsibility and accountability for Campos Coffee being a force for social good in every community we are part of. For us, good ethics means more than just avoiding bad practice. It means actively supporting good practice and helping improve education and living standards of all the communities we work with. After all, we don’t just aim for fair trade. We want the communities behind the coffee we drink every day, to prosper and thrive. Superior Blend is our flagship blend that started it all and still to this day it remains a much loved blend for its quality and consistency of flavour. For us it’s not just a blend. It is a project. The quality always starts with the bean. A handpicked selection is chosen for this blend. We don’t believe sub-standard beans should ever exist, let alone be hidden in a blend. In fact, what most roasters have as a‘special,one-off’, we use as the standard ingredient in our flagship Superior Blend and this will never change. We’re all about consistency. And consistency is a tricky thing when you are dealing with an organic product. Coffee production is seasonal so we scour the globe all year round following harvest time. But as we all know, coffee can taste different from one hill to the next, let alone region to region and country to country. We pride ourselves on our Superior Blend tasting consistent all year round, and spend a lot of time perfecting it. We quality control, taste and assess our Superior blend every day, 365 days a year. And often more than once a day. It’s imperative that our blend delivers on the Superior Blend flavour we’ve become known for. The farms we select for the Superior Blend are leaders in the Specialty Coffee world for their regions. We’ve worked very closely with these partnerships over many years and most are exclusive to Campos Coffee in Australia. It’s a line-up to be incredibly proud of and the envy of roasters around the world. We have zero tolerance for child labour, inhumane working conditions or unsustainable farming practices. In return for those we partner with, and who share our beliefs on good practices, we create greater rewards. Not just in premium payments for coffee, but also by supporting social projects and providing benefits to the communities behind the farms. As the Specialty Coffee market develops, new doors open. Currently, we have blends which represent the origins of espresso with roast profiles matching Southern Italy, Northern Italy, and Australia. Over the last few years, there has been the emergence of a new style of roasting and blending which has been spurred on by new wave roasters in Scandinavia. Of particular note is a handful of Norwegian roasters who have based their filter styles on a roast profile that is much lighter than what was previously the norm. Higher acidity and brighter coffee profiles became commonplace in“3rdwave” speciality coffee as a result of the success of the Scandinavian trailblazers. 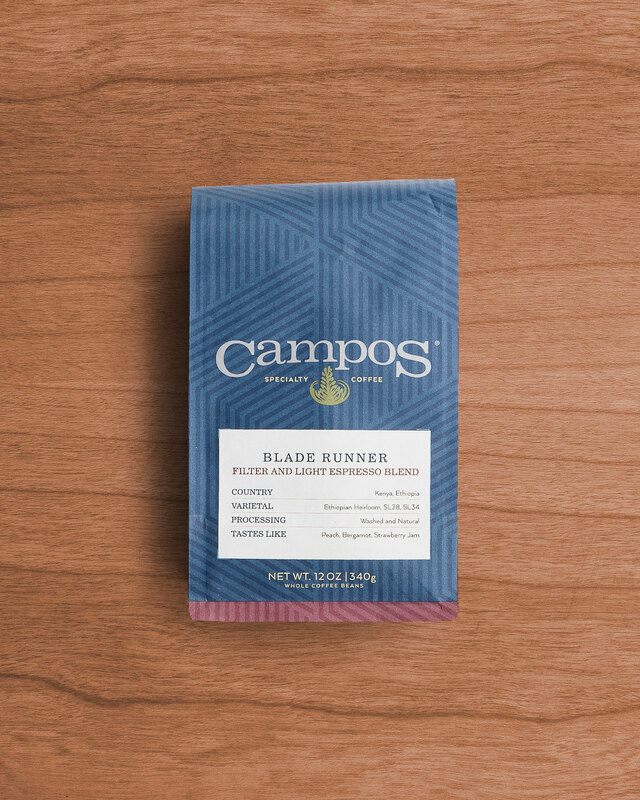 Blade Runner blend is our tribute to this exciting movement. Our innovation team and roasters have collaborated on a 12-month project to develop this Nordic style coffee blend which offers an ultra-bright and juicy result. The coffees used in the blend are brighter Kenyan and Ethiopian with a touch of natural processed coffee to elevate the fruity notes. We are having a great time running it through our espresso machines and as a filter brew in our stores as well.